Get your motor running for a fast and furious motor event in the Midlands featuring everything from motorbikes to monster trucks. 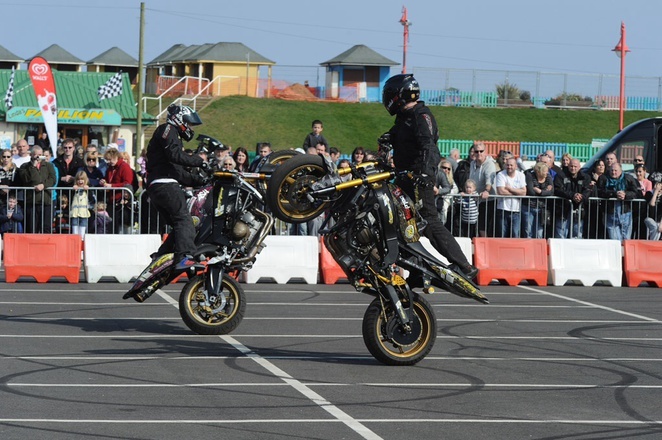 The Extreme Stunt Show by Extreme Events Europe will be performed at Merry Hill Shopping Centre on Friday April 17 at 7.30pm and Saturday April 18 at 6pm. It's a new touring production based on an air battle between motors that is set to thrill all the family during this event in the Black Country. Promoters promise high octane displays with "Awesome Monster Trucks, High Flying Motorbikes & BMX teams battling it out as big air is the name of the game. "This summer our boys hit the air flying!" Monster trucks compete in the Extreme Arena with 1500 horsepower behind them. 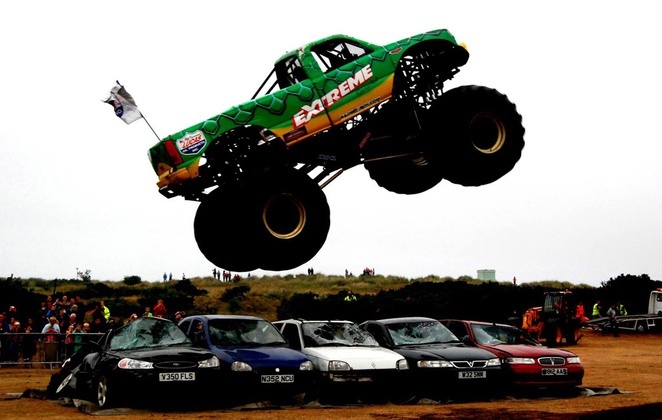 Extreme Events Europe has been entertaining audiences all over the world for over 30 years and has featured on Channel 4's "Famous and Fearless" Show in 2011. This year's theme of air battles has the logo Wings Not Included. Advanced tickets cost £12 adults and £6 child.